This simple dessert looks like a peach cobbler but tastes more like a yellow cake with peach filling. Peaches aren’t in season? No problem – frozen peach slices will work just as well. 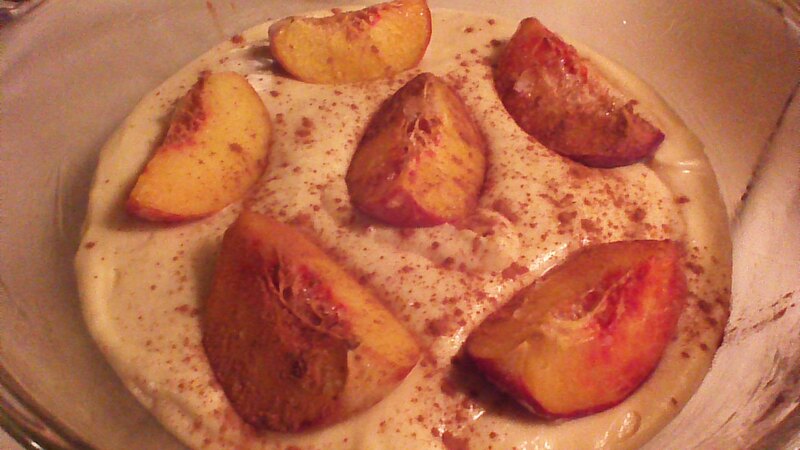 I enjoy Peach Spoon Cake as a weeknight dessert, but it could also make a decadent treat for Sunday brunch. Enjoy! Step 1) Grease a 2 quart casserole dish and set aside. 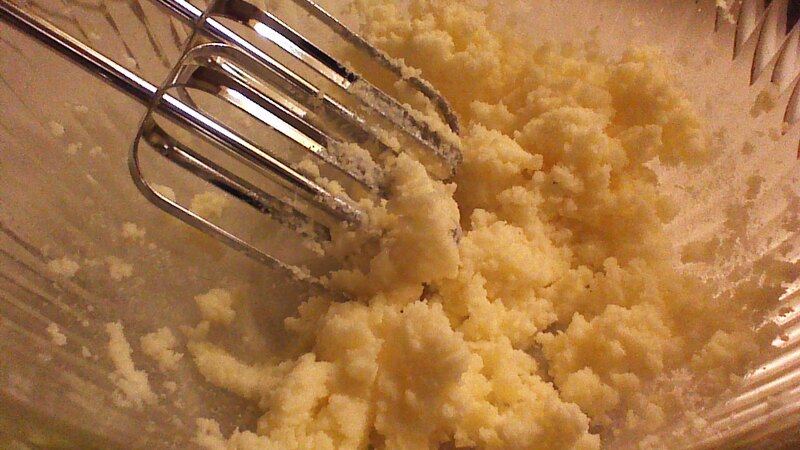 Step 2) Blend together butter, sugar, almond extract, and egg. Stir in milk, flour, baking powder, and salt. Step 3) Transfer the batter to the casserole dish. Top with quartered peaches. Sprinkle with cinnamon. Step 4) Bake in a preheated 375 degree oven for 40 minutes or until a toothpick inserted near the center of the cake comes out clean. 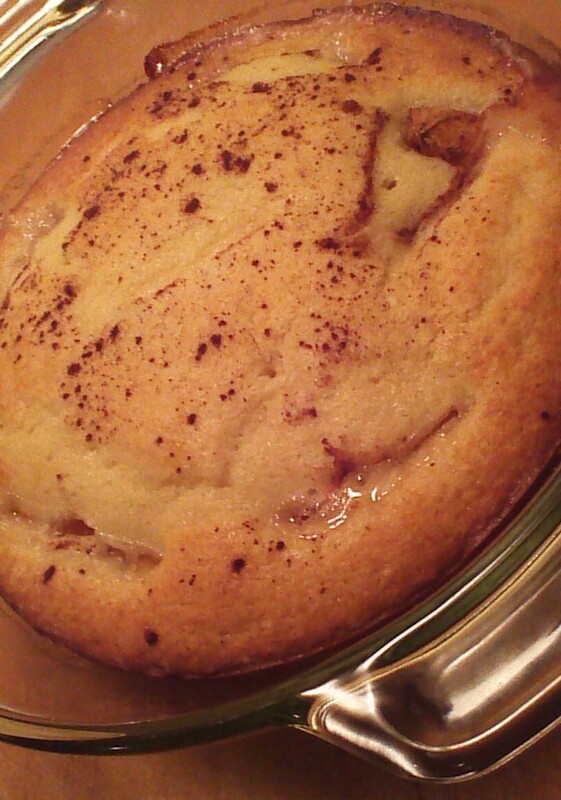 Allow Peach Spoon Cake to cool before serving. This entry was posted in baking, Breakfast, Desserts and tagged baking, breakfast, Cooking, desserts, Family, Food, frugal, Fruit, Homesteading, Recipes. Bookmark the permalink.